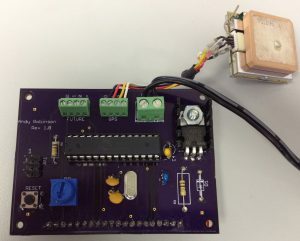 Using Eagle, a great schematic and PCB layout program, I had a go at creating a PCB for building the BoatGPS that I prototyped earlier using some Veroboard. 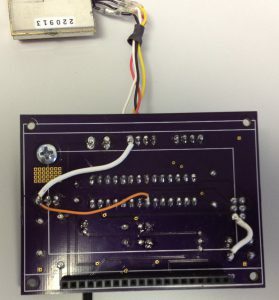 First attempt at a PCB for the BoatGPS project. 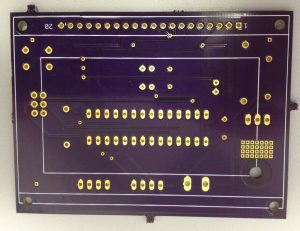 Other side of the BoatGPS PCB. 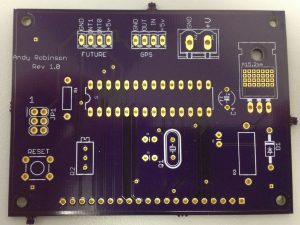 As can be seen, some mistakes were made on the PCB layout – namely some power connections…. Wires to fix the routing mistakes! BoatGPS with LCD attached, waiting for a satellite fix. 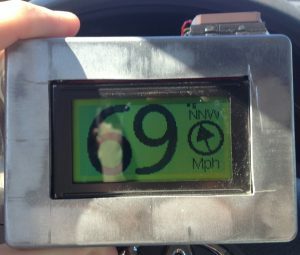 Here is the PCB version installed in to a die-cast aluminum enclosure undergoing some drive tests in the car. I assembled a second board in anticipation of being used as a tachometer for the boat. 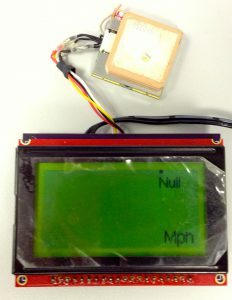 Here it is displaying the speed in kM/h, with the LED backlights on, in the car. Time to clean up the software a bit, and decide if a re-spin of the PCB is warranted!